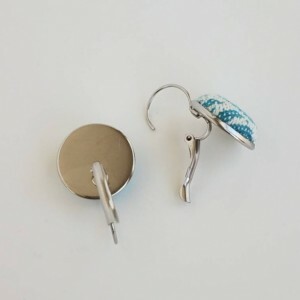 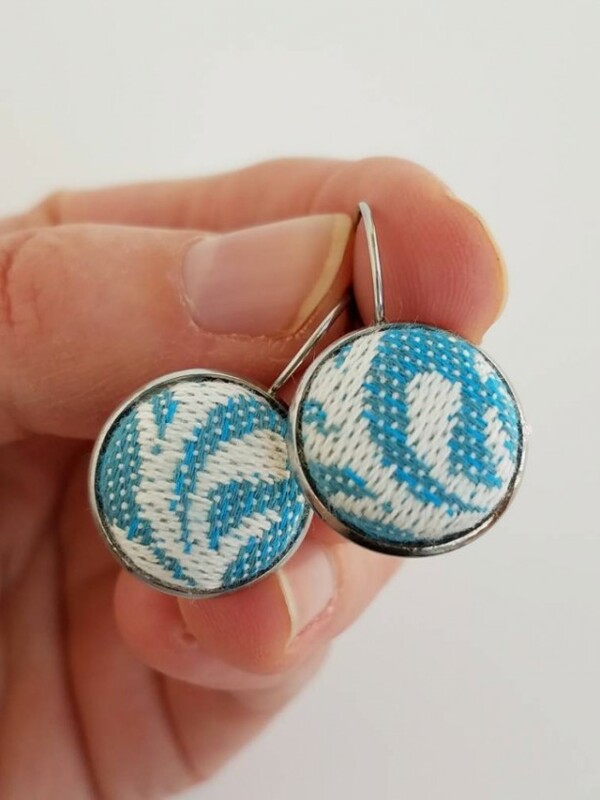 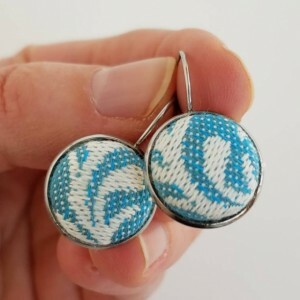 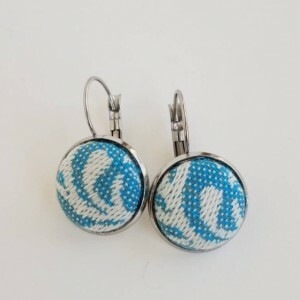 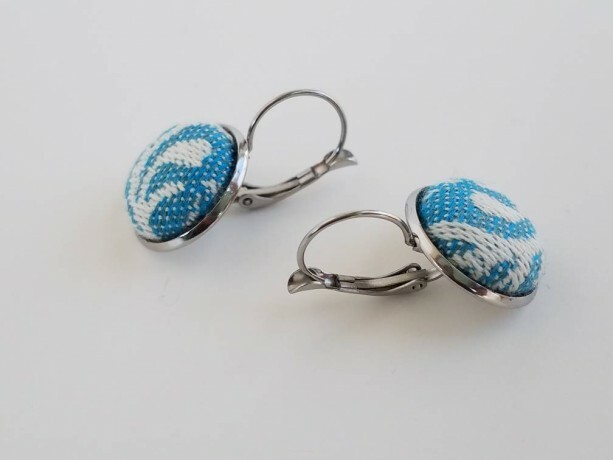 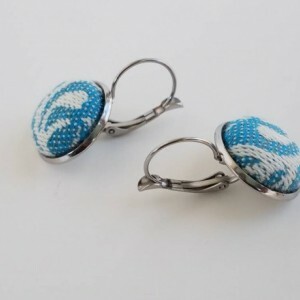 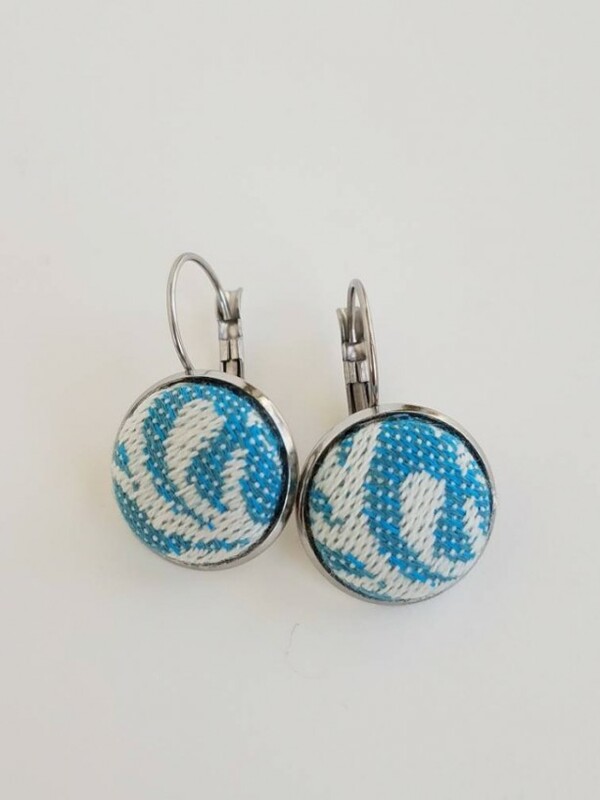 These beautiful turquoise and white earrings with a pattern of seaweed are made with a recycled piece of a Moondani Australia You Wish Starfish baby sling. 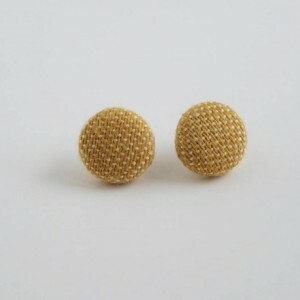 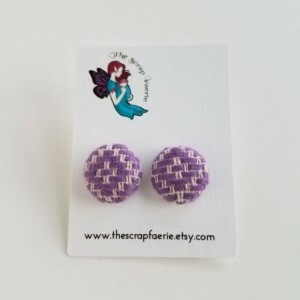 The earrings are approximately 1/2" in diameter and 1" long. 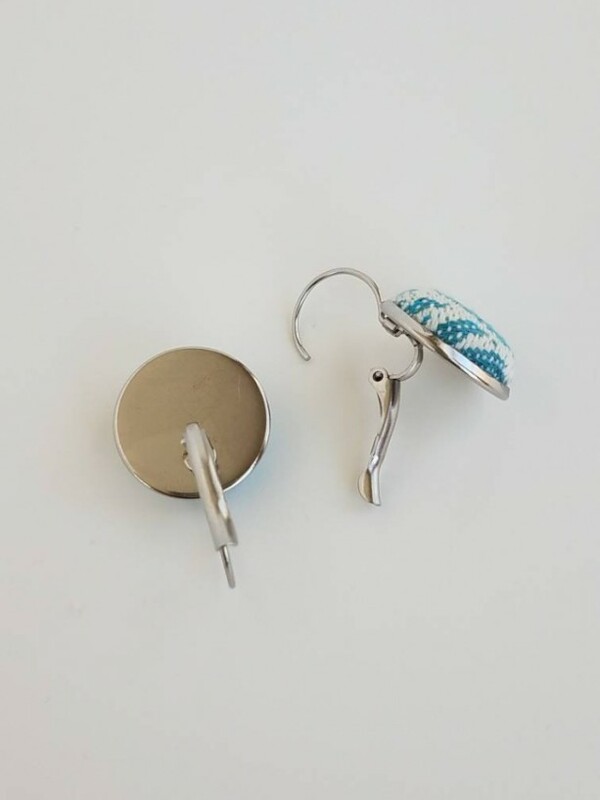 The metal is stainless steel. 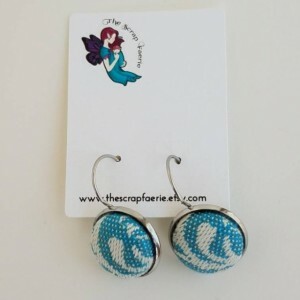 Great gift for a birthday, an anniversary, or just because! 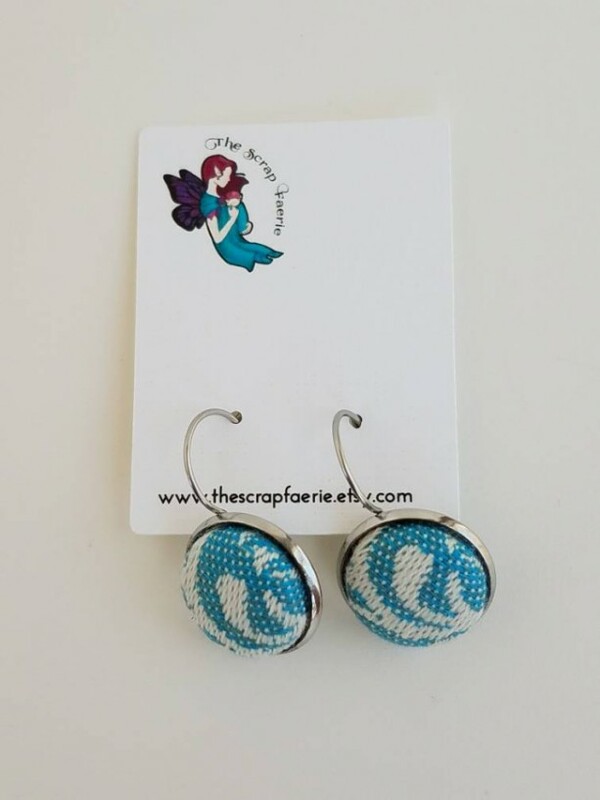 Ships USPS first class, tracked, in 1-2 business days from Belgrade, Maine.